We are starting the Friday Markets again on April 5th and also on April 19th (Good Friday), 11am - 3pm. Followed by the first Friday of every month. Come along and support our local stalls, everyone welcome! 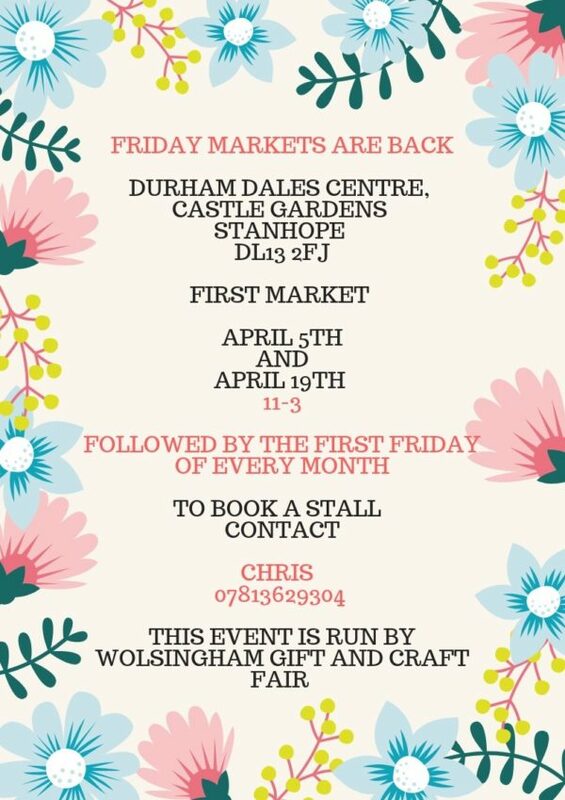 For more information or if you would like to book a stall please contact Chris on 07813629304.